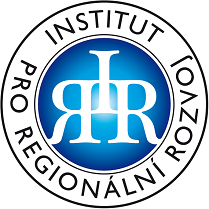 Internships for Youth II | Institut pro regionální rozvoj, o.p.s. The project is implemented by the Fund for Further Education (FDV), a subsidiary organization of the Ministry of Labour and Social Affairs. The project offers an opportunity for pupils and students of the last years of their studies to gain practical experience in their respective fields. The aim of the project is to facilitate the entry into the labour market for young school graduates and to contribute to fight the rising unemployment of this group at risk in the labour market. The Institute for Regional Development, employed a student of the Bruntal Secondary School as an administrative assistant from 15th May to 26th August 2015.